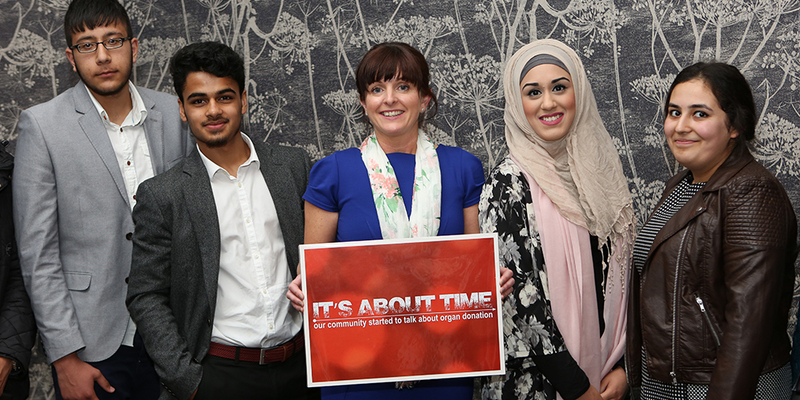 An award winning nurse and One Voice joined forces to launch an organ donation campaign in the last two years that is directed towards the BME community in Blackburn and Darwen. Angela Ditchfield, a Specialist Organ Donation Nurse at East Lancashire Hospitals NHS Trust, received the Mary Seacole Leadership Award 2014 for her work with black and minority ethnic communities. As part of the award she produced a video aimed at the local communities of Blackburn, through commissioning One Voice. ‘It’s About Time’ is a Mary Seacole Award Production in association with East Lancashire Hospitals NHS Trust, NHS Health Education England and One Voice. The short film features student actors from Blackburn and has been filmed in various locations throughout the town. The campaign aims to highlight awareness of organ donation within the local communities. “This is a wonderful opportunity to begin to raise awareness about organ donation within the local BME community and to ensure that everyone understands the impact that organ donation can have on a community. One Voice and Angela Ditchfield have gone onto produce Its About Time, an Urdu video aimed at the non-English speaking members of the community.